The dictionary is superior. However, the distributor, Mobisystems, seem to expect payment for the “premium” version on each iOS device on which it’s installed by the same account holder. That’s a non-starter. Until they change this deceptive practice (they mention it nowhere, and “restore purchase” functionality only works on the “original” device) and end their extortionate price levels, I’ll use it on the one device and not deal with it further. Caveat emptor. You cannot pay once and use the app on both an iPad and an iPhone. I have changed the rating to 4 stars, because there is still some trouble getting the app to restore purchases on additional devices. It required deleting the unresponsive download and a new download and installation. Also, to be fair, the developer did respond to my original derogatory review by email, which sat unread on an unused server for six weeks. Their instructions for restoration, clearly well-intended, were not helpful. I had to fiddle further on my own. On the basis of the app itself and the product, this deserves a 5-star rating. An app that carries the brand “Oxford” however should not be flawed in terms of fulfillment in this way, I believe. I misjudged initially. There is no deception. Might you consider upgrading this “word of the day” automatic feature? Granted, I acknowledge the disclaimer that the word on every given day is randomly generated. That, however, is why the user can’t adjust it, not a fact that makes it impervious to the developer modifying the software. The problem as I see it is simply, if you will, that the words are too simple. My experience with such novelties is that they highlight words not usually found in common usage, in order to expand one’s vocabulary. Your app, on the other hand, serves up a daily dose of hopelessly commonplace nouns and verbs; for example, “rodeo” and “nibble”, respectively, as two recent offerings. As such, the feature is uninformative at best and, unless one shuts down the notifications entirely, a nuisance. The distinguished OED should expand the mind and the vocabulary of the educated user, not cater to popularity in pursuing the least common denominator among the crowd. Please consider this sensible upgrade to your software. Thank you for your attention to my concern, meant constructively of course as a longtime faithful adherent to the OED. 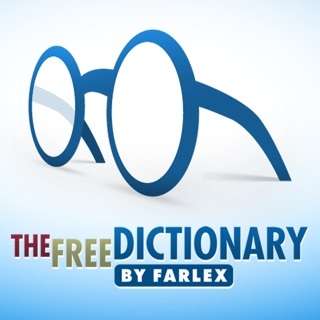 Anyway, this app is as close as you can get to owning the physical version of the dictionary. It has all of the wonderful little details and assists that the print version has, of course, without the magnifier, though you can use the triple-tap option on your iPhone to magnify the entry if you need it. 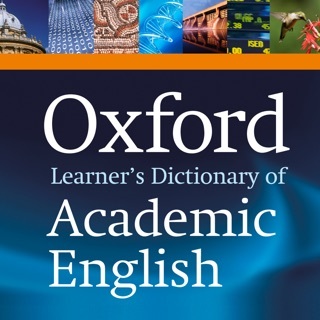 The app is a bit on the pricey side, especially if you opt in on the translator add-on, but, as with the print version, the Oxford English Dictionary is worth whatever you spend on it. I love that I can look up obscure or unusual words and the OED has them listed! I truly loathe trying to locate the definition of a word that I've come across in my current novel and it's unavailable!! It then becomes a quest to locate the true definition, if not the etymological origins, of a particular word. Being someone who loves and collects words, the OED is the perfect resource for someone like me!😁 I think that the OED app is worth every cent that one decides to put into it.